#NABJTECH News plenary speakers and moderators including, ABC News Correspondent Linsey Davis, NABJ VP of Digital Roland Martin, Backstage Capital founder Arlan Hamilton, Bledsoe Group CEO & founder Jaylen Bledsoe, Arizona State University Professor Retha Hill, Facebook News Partnerships Simone Oliver, NABJ President Sarah Glover and Black Enterprise Contributor L. Michelle Smith. 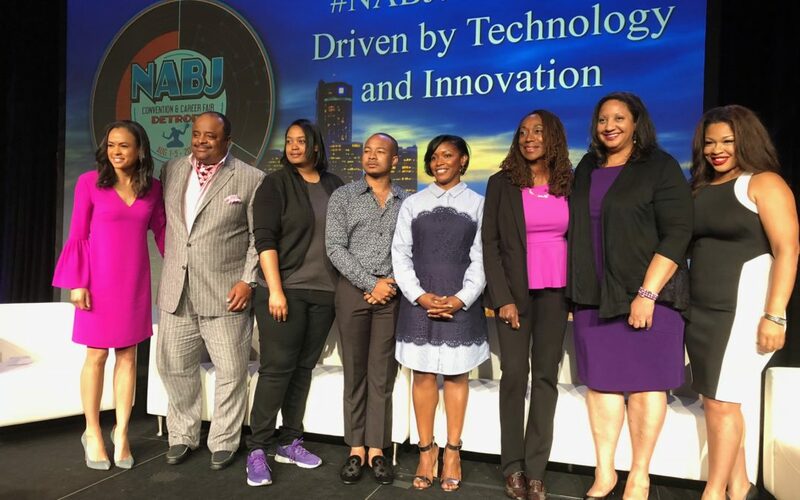 The energy at this year’s National Association of Black Journalists (NABJ) convention was palpable, but it was noticeably different than in years past. What made the difference? There was a deliberate focus on the power of tech to not only drive powerful storytelling, but to also liberate a profession that has typically been tethered to news desks. It was four days to consider the possibilities of media ownership, tech-driven news gathering, and taking control of one’s personal brand. The theme for a convention that claims to have the largest career fair on earth was “NABJ: Driving Journalism, Technology and Trust.” The kickoff plenary—a highly produced 90-minute, live show with four segments—focused on the topic of tech-first journalism. The show was presented by the Kresge Foundation and hosted by this author and featured co-moderator Linsey Davis an ABC news correspondent. Former TV-One news anchor, author, and NABJ Vice President, Digital, Roland Martin kicked off the session with a keynote featuring his review of all the gadgets he recommends for journalists in the field gathering news. With all the battery back-ups, extra LAN cables, wireless devices, and digital photography gear, his most important message was to always be prepared, especially for the unexpected. Arizona State professor Retha Hill implored journalists to learn more about how technology can empower them to tell the stories that need to be told in an era of “fake news” and questionable trust. 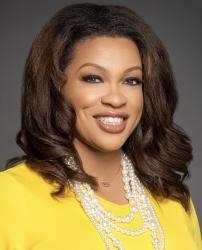 The former BET executive teaches her students to not only gather news but build apps and code. I asked her for one piece of advice she’d share with communicators. Simone Oliver, editor, magazine and lifestyle partnerships at Facebook was also a part of the panel and had this advice for journalists on how to best leverage the most cutting-edge tech tools to win at their craft. Jaylen Bledsoe, who made his first million as a teenager, is now 20 years old and scored more than $180MM in revenues for his current clients in the past year. He is the president and CEO of Jaylen D. Bledsoe Global Group, which is an investment and holding company. He shared advice about content strategy on social media. Other plenary speakers included the founder of Backstage Capital, Arlan Hamilton, who recently launched a $100MM fund for women of color; and DNC Chairman Tony Perez who implored journalists to use every tool available to them to tell the stories that need to be told. Doing so, they advised, keeps people informed about the importance of voting. Hill, Oliver, and Bledsoe shared three tips for journalists and communicators as they look to use more tech to tell important stories, and here’s what they shared.